Greek art originated a stunning array of influential styles and methods. It is an essential component in learning about the Greek culture, for every aspect of their lives was interwoven with some art form or another. Most recognizable are the art of Greek sculpture and architecture, but there is also a long history of painted pottery and other styles of painting. The Greeks were the first to make their coins in the style we recognize now, with a profile image of a great leader. Most of the world's coins are modeled after this Greek style. Also, the art of theater in Greek culture is vital. Many of the great playwrights and actors aspired to emulate the masters of Greek theatre. Teaching these art forms to children is easier than it seems, as long as you give a good historical background, ample imagery and simple, easy-to-handle materials. This will be a subject of great interest, and the children will take great joy in learning about the Greek culture. Sculpture is the art form most associated with Greece. 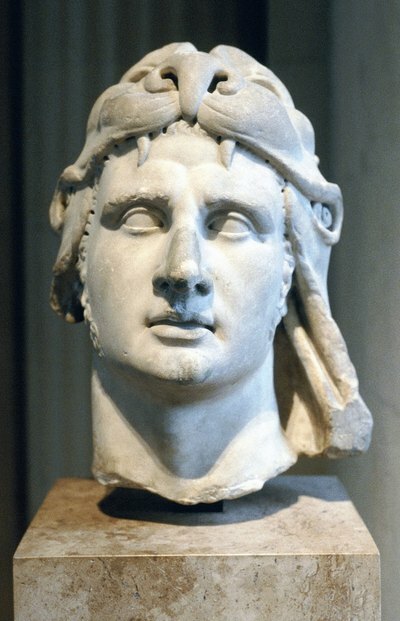 Greek sculpture has had an overwhelming influence on artistic styles since its beginnings. Greek figural sculpture influenced many famous artists, such as Michelangelo. For your project, first introduce these ideas to children, giving them a background in Greek naturalist styles. Maybe use a slide show or books with images in order to give them an idea of Greek styles and how they are different from African styles, for example. Then you can let them use clay to try and make something similar themselves. Be sure to have clay tools handy to ensure more success and less frustration. Greek architecture, in the same way as sculpture, has truly influenced everything that has come after it. Most people have at least once in their lives seen a picture of the Parthenon, the classic Greek temple built as an homage to Athena. 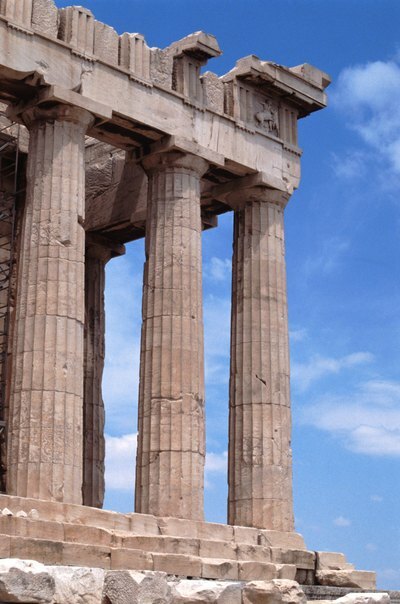 Most classical Greek architecture consisted of a rectangular- or square-based building with doric (simple, cylindrical) columns spaced evenly around the perimeter and sometimes in the center as well. Another element used often were the triangular pediments filled with small sculptures depicting stories from Greek mythology. They often consisted of sculptures of the Gods and Goddesses engaged in what look like very human, earthly situations. In building models of Greek architecture, you can use cut pieces of foam core for the exterior pieces and painted tubes for the columns. It will be helpful to have a template that kids can trace and cut out. This will be a project with multiple steps. Read some of the Greek myths to the children, so they have had some exposure to the feeling of the time period. Show them pictures of Greek architecture. You may be able to find a workbook or coloring book that is focused on Greek art and get some images of gods and goddesses to cut and paste on to the pediment. Or you can simply allow the children to draw them on their own. They can even fashion some "people" out of soft clay to place inside of their building. Greek pottery is another art form that many do not know much about. Though the Greeks made their pottery for practical uses, they are made with stunning craftsmanship. There are different styles of painting on the pots through the different periods, from an early focus on geometric patterns to more scenes from Greek history and mythology. If you have access to a kiln, great. You can use the method you prefer to make the pots from clay and fire them according to your method. Some styles require painting on slip before firing, which creates the black background. If you don't have a kiln, you can still work with air-drying clay, and painting with tempera paints or acrylics. Obviously, this type of pot won't last as long and probably won't be good for practical uses. But it will still convey the basic idea of what a Greek pot looks like while providing a fun activity for the kids. Theater, the art of drama, was always a big part of life in ancient Greece. The ancient style of theater that contained no individual speaking parts was highly influential on Shakespeare and other great playwrights. 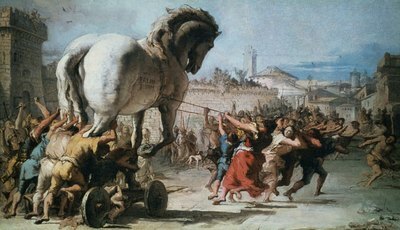 It consisted mostly of a chorus of men, often dressed as horses and gods and goddesses, telling a story through song and dance. Later, there emerged some individual parts, and most theater styles have taken their cues straight from the Greeks. They even introduced the famous dichotomy of the comedy and tragedy. Some of the famous Greek playwrights are Sophocles, Euripedes and Aristophanes. 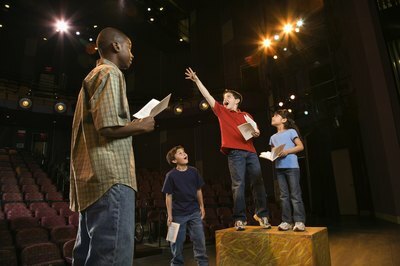 A great way to introduce Greek theatre to children is to read a play to them and then have them act it out. Rehearsing daily will get them more into the story, and help them to remember it better as well. Eventually, you could even create costumes and a set together, and put on a real show. This is sure to be something the children will never forget.